Potato fields. Prince Edward Island, Canada. 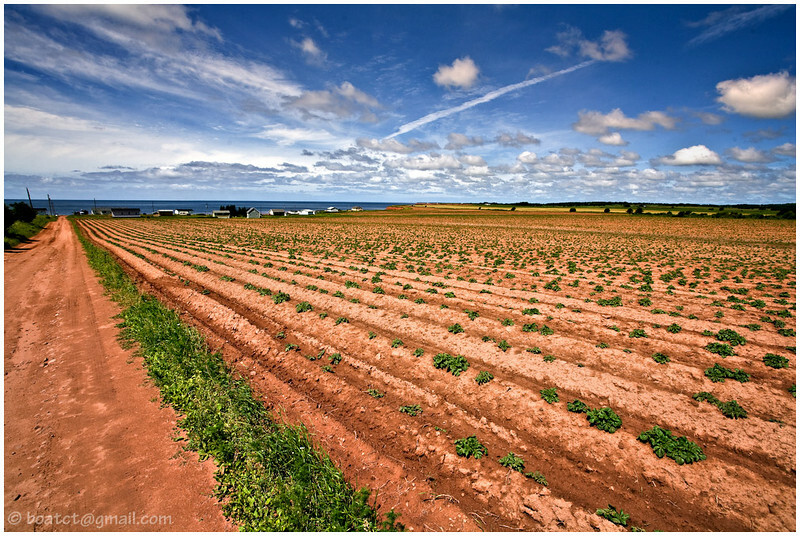 Prince Edward Island is on my list of places to visit, such wonderful expanses, includes all my favorites, tons of sky, deep blue ocean and land, land, land! Beautiful.